This past July, for six fun filled weeks, the Islandboys were chosen to perform live every Friday on the Home Shopping Network’s Summer Tropical Party featuring Jimmy Buffets Margaritaville product line. The Island Boys perform tropical steel drum band music from Jamaica and the Caribbean Islands. 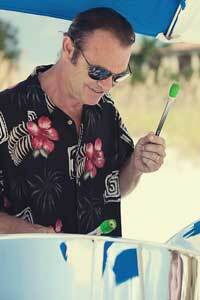 Pop songs old and new, played with a tropical feel, is perfect for that beach wedding, party, or corporate event. Single, duo, trio, or quartet prices available upon request. Vocals Optional. The Islandboys carry one million dollars worth of liability insurance that most resorts now require. 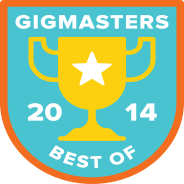 I just posted my review of your gig with us on November 3rd. My apologies for the delay. It has been a very crazy, but good few weeks since our trip to Captiva. Of course I gave you a great review. We loved having you at our family birthday party! I thank you for being such a fabulous addition. All of us really appreciate how warm, friendly and talented you are. Thank you, thank you for your great gig! Everyone is still talking about it. And, Dennis and Max have a birthday memory to last forever. From our family to yours, best wishes for a very Happy & Healthy New Year! 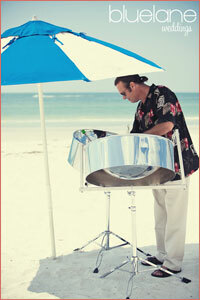 The Island Boys Band - Tropical Island, Steel Drum (pan) Music - Tampa Bay Area - Florida. The Islandboys were excellent. My guests were very pleased with their performance and professionalism. They were courteous and very accommodating. 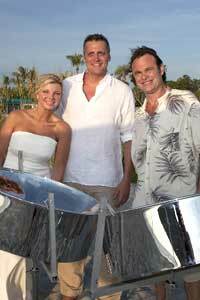 I recommend the Islandboys to anyone looking to hire a steel drum band. I will use them for my next party next year. I would like to recommend the Islandboys as fun, professional and courteous band foe any occasion. The Islandboys; Winston, Jesse and Josh recently performed a private birthday party I hosted for a family member. They did an excellent job and added to the party's atmosphere. They were willing to work with us on details to get us what we wanted and what could work for them. 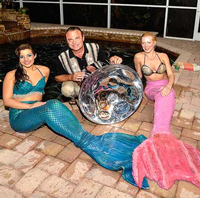 They were extremely organized and made the booking process fast and easy. They had a large list of material, coordinated toasts, and other speeches so the party was seamless. The set up was on time and quick, music amazing and over all experience was great. Joshua's music produced the exact ambiance and emotion I sought to evoke for the day. Thank you for adding the most perfect touch for our wedding. I could have not been more pleased with your performance and professionalism! Of all the people referred for our wedding, yours was the only one that exeeded our expectations.... and we thank you. Jesse of the Island Boys was fantastic. My party was a total success and Jesse provided absolutely the best music for my birthday party - Tropical Nights - Caribbean Style. His music was perfect. I've gotten many phone calls saying that my party was the best that many had ever attended. And, of course, everyone wanted to know how to reach the Island Boys should they want entertainment for their own Island Party! Great! Hiring the Island Boys was the smartest thing I did for my party -- by far. They set the stage for the event, and filled my backyard with music that transported us to the "Islands". I heard from others who want to hire them!